New Faucet: The BANANO Miner - The Best-Paying CPU Miner Ever! Banano has a new faucet! You might have seen that earlier today our Faucet Game 'Black Monkey' has started. Now here's another new experimental option to distribute BANANO free and fair: The BANANO Miner Faucet! Read more below! What the fork is BANANO? BANANO is listed on Mercatox and Txbit.io so far. Current price is available here at Coingecko. Mining? I thought BANANO can't be mined? You are right! BANANO transactions are 100% feeless, and there is no mining required. The mining part here was only implemented to have another faucet for BANANO distribution that people can't exploit. We have lots of approaches and experiments to ensure free & fair ongoing distribution. The BANANO Miner faucet was made by the community member sau412 (github link), and while you get fresh BANANO rewarded here for using your CPU, you are not really mining BANANO. Instead, the faucet actually mines webchain by using your CPU, automatically converts rewards to BANANO and sends it to your wallet. Mining cryptocurrencies with your CPU would be way too inefficient, so we topped up the rewards more than 200-fold! How much you'll get will depend on your computer/CPU, but on average you'll get approximately 1 BANANO per minute for the start. This rate is finetuned and adjusted over time, so don't wonder if it increases or decreases over time. Join our discord server and comment in the channel #bananominer to give us feedback. Disclaimer: This page embeds third-party script (from coinimp), use it on your own risk. 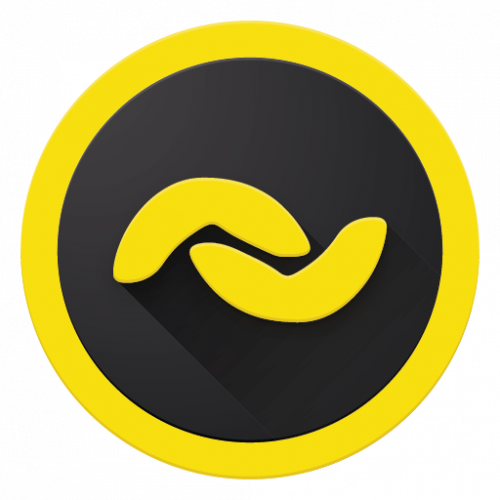 If you don't have a BANANO wallet yet, get help setting one up in minutes at banano.how. We have meanwhile upgraded our payment system, everything is up and running. Due to its popularity we are finetuning different parameters while it's running, you'll get more details on the miner website. Want more free BANANO? That's easy! Since BANANO has on ongoing free distribution it's not really hard to collect free BANANO. Get an overview at banano.how and make sure you try our currently running Faucet Game Black Monkey - more details here.